Defence Turkey: Dear Mr. Öner Tekin, first of all we would like to thank you for your time. 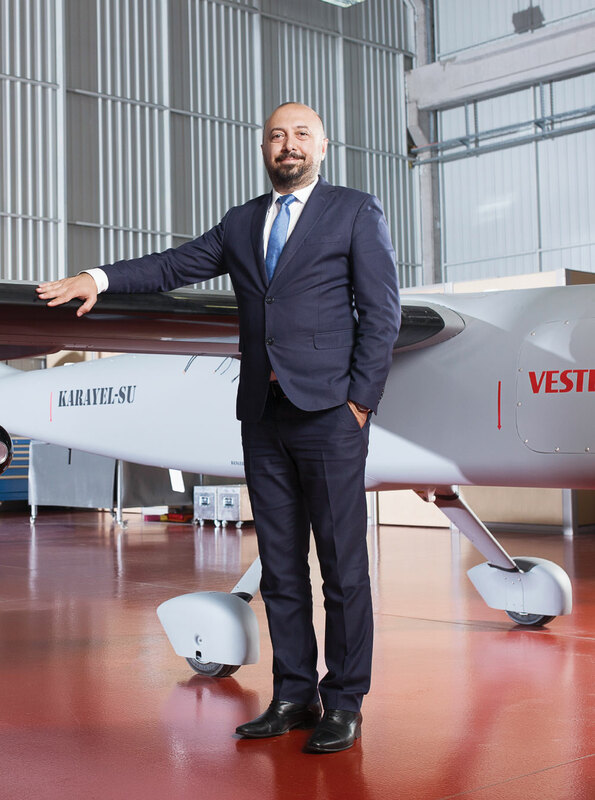 In the beginning of last April, you were appointed as the General Manager at VESTEL Defence Industry and AYESAŞ companies under the auspices of the VESTEL Group of Companies. Since your assignment, what are the pros and cons that you’ve observed, and as an expert within the sector what is your opinion on the status of your companies as well as the sector? Could you please share your assessments? I was not far removed from the sector on account of my previous assignment; I was partially included in the sector and in the part of the businesses that related to the defense industry. Upon my appointment I endeavored to work on the issues that related 100% to the sector, and I can make an unprejudiced and objective assessment from an outsider’s view. Upon analysis, it is apparent that progress in the defense industry increased especially in the last 14-15 years. From a country lacking indigenous products and an external dependent structure, Turkey has become a country capable of designing and manufacturing unique products through local resources, endeavoring to diminishment of its foreign dependency, and demonstrating willful determination. We once again witnessed this improvement at IDEF 2017. Surely, we still have deficiencies to be addressed and several bureaucratic processes need to be improved. Especially the existing legal hurdles in the areas comprising high-tech must be effectively overcome. I rely on the fact that we will be improving these in time. To sum up briefly, I can say that our defense industry possesses fantastic potential. Defence Turkey: Dear Mr. Tekin, what is your vision and which strategies will you identify for this new era starting with your assignment? Which areas and programs will you prioritize in order to further advance VESTEL Defence and AYESAŞ companies? I am aware of the fact that the existing structure of the VESTEL Defence and AYESAŞ companies was expandable in terms of human resources and processes. This has been one of the factors that I was very pleased with. Both companies have a robust infrastructure and great potential. Moreover, the power of the Zorlu Group, to which we are affiliated, renders us more powerful in respect to growth and progress. Therefore, when considering all of these parameters, I can say that AYESAŞ and VESTEL Defence companies have promising futures. If we need to position our companies within the sector, we remain in the medium scale company category between the main contractors and SMEs in the eco-system, a point which is constantly underlined by our Minister of Defense Mr. Fikri Işık. There is a great gap in this pyramid amid the main contractors and SMEs in this eco- system. We position our companies near by the major players with our competences, capabilities, financial structure. On this point, I would particularly like to emphasize that we aim to identify a key strategy which we plan to launch with our main contractor companies and mostly our foundation companies. In line with this strategy, we aim to render the AYESAŞ and VESTEL Defence companies as the permanent strategic partner of the major players. Instead of direct contact of the main contractors with the SMEs, the management of the SMEs has to be executed by the medium scaled companies and the medium scaled companies should facilitate and speed up the process and secure an essential position among the main contractors and SMEs. In my opinion, such a structure would both enable the energy efficiency and enable the sector players, which are struggling with the major platform programs, to keep their focus at the platform level. While the medium scaled companies execute the management of the SMEs, they will be providing an essential amount of efficiency to the sector as they will be managing all the requirements of the various companies from a single point. On the other hand, this structure to be set up will capacitate significant advantages toward the institutional development of SMEs. As AYESAŞ and VESTEL Defence, we are collaborating with a total number of 2968 local -foreign suppliers and sub-contractor companies. We have a robust structure in this respect. With the competence that we possess, we are in a position that enables us to manage SMEs in the best manner and provide system based solutions to the main contractors. Occasionally the large-scaled companies fail to sustain SMEs due to their overall rigid rules (payment dates, pay after acceptance, etc.). We undertake the role of being a buffer zone at this point. I believe that the medium-scaled companies such as AYESAŞ and VESTEL Defence will play a key role in respect to maintaining the sustainability of the subcontractors and also in offering the most optimal solutions to the sector through managing the structure effectively. Defence Turkey: Turkey’s requirement of an eco-system is spreading throughout the region and its importance is constantly acknowledged by sector players. You have a similar approach and you have essential experience particularly in the area of R&D that would carry us further. What type of a plan is required to attract a more qualified labor force, to cultivate a higher level of expertise in the qualified labor force and what is needed to utilize our combined expertise more efficiently and effectively? Turkey has the capability to provide R&D services and support all over the world. I would like to share an instance that I experienced in the past, when a problem arose regarding a project conducted in Brazil; they consulted our engineers even late at night and thus we were capable of providing them with the necessary solution within 3 hours. I believe that this constitutes an extraordinary indicator of a development level. As I mentioned, we have the competence in Turkey and this must be utilized effectively through an envisioned plan. The qualified engineers should not be utilized in unskilled tasks. However, the players in the sector cannot achieve this unaided. We need to identify a strategy in this area accompanied with the governmental institutions, universities and the stakeholders of the sector. We need a macro plan that comprehensively addresses who should work in which section of the sector starting from the technical and industrial vocational high schools. These types of plans have been initiated and have been partially handled yet we need more of a macro plan in this area. We are utilizing slightly more qualified personnel in the projects we conduct as AYESAŞ and VESTEL Defence and we are lucky in this regard. We execute high precision programs and as a result we need to employ a qualified skilled labor force. We develop software for an aircraft with high costs, we manufacture the circuit board, thus we enhance our standards. Besides, we conduct wiring harness production together with wiring engineering. Wiring architects are also employed at our facilities. 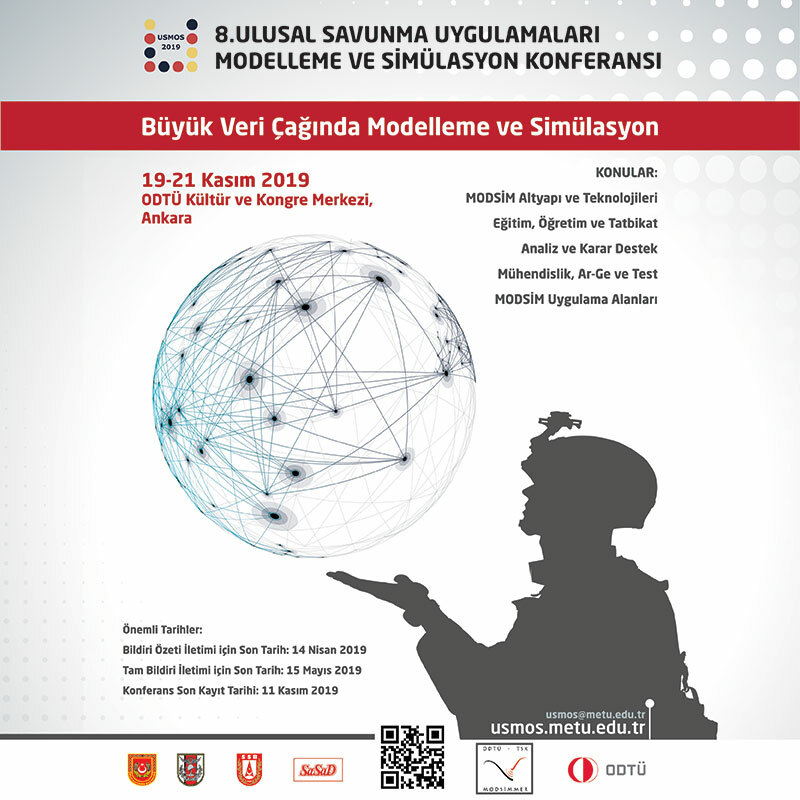 We develop Link 16 Tactical Data Link software of the F-16 jets in Turkey as well and this requires a very significant accumulation of knowledge. In the realm of VESTEL Defence, we have been conducting R&D studies on Hydrogen and Fuel Cells Technologies for over 13 years (they are unique in Turkey and the mass production of which has not been initiated in the world yet). We are running collaborations with the notable universities of Turkey in this field and conducting R&D studies within the framework of university and industry cooperation. We stand out amongst the mid-size rivals with the assistance of our qualified human resources in R&D. We believe these assets in all our operations will create more value for us in the medium scale company category. Defence Turkey: What are your growth targets within the scope of the vision you will be putting forward for the upcoming period? We are eager to set up a flexible, trend-tracking vision to our companies that would foster expansion, widen the product range and one that is open to joint production and development at home and abroad, adopting a more initiative understanding. I can say that our competence is suitable for a flexible and modular structure. As a company relying on the eco-system initially within our existing structure, we aspire to proceed by expanding the subcontractors within our eco-system. If the efficiency of the eco-system increases, we too will also thrive. You cannot single-handedly achieve an endeavor from a to z, and if you try to do so then success will not be possible. I have seen the results of such efforts quite clearly during my previous assignments and as a result we will be displaying the vision and behavior that would create a robust eco-system. Instead of selecting the companies based on whether or not they are efficient, we aim to proceed with the approach that leverages them while building this eco-system. If we identify any deficiencies regarding quality, then our quality experts will provide training in the required fields to improve the quality of experts in the particular field. Defence Turkey: Do you have any plans to identify a niche area in the upcoming period? Are there any activities planned regarding critical technologies that Turkey is open to and that have not been performed by AYESAŞ or VESTEL Defence so far? We aim to self-enhance our area of specialization, yet we are open to assuming different or converging projects as well. Within this context, we identified certain strategic topics, we have not clarified them yet but soon we will be disclosing them to the public. Since our establishment, we have been one of the pioneering companies of the sector that has been active in areas requiring high technology and in many areas considered to be the technology of the future such as Unmanned Aerial Vehicles. At the same time, we are capable of providing the subsystems which are required by great platforms and which require high technology with our know-how, infrastructure and human resources. We will have a good position in every area of our expertise with all of our structural power in the upcoming period. Defence Turkey: Are any acquisitions planned within the scope of your growth strategy in the upcoming period? This is not a decision that could be made properly at this stage. This drops beneath our radar at the time being, then again there may be such an acquisition as a result of a project or a different strategic formation. This should not be perceived as if we are against company acquisitions but we are unwilling to monopolize through the acquisition of companies within the eco-system. If we ever adopt a strategic decision in this area, I can say that we will proceed with sensitivity and consideration. Defence Turkey: How do you assess the export performance of VESTEL Defence and AYESAŞ? What would you like to say regarding your sales as well as the regions that you are efficient in? The United States companies are at the top of the list of the countries and regions that we conduct sales with and the European companies follow them on the second row. The products and systems that we manufacture for these companies are being dispatched to the end users all over the world. We conduct all our exports to the United States and Europe and over 50% of our turnover for the past five years consists of exported products. The technological products we export are composed of electronic cards, wiring harness, electro-mechanical units, Command Control software and avionic software. The world’s greatest OEM manufacturers such as Lockheed Martin, Sikorsky, Thales, Airbus, Boeing constitute the primary customer segment of AYESAŞ. The work we undertake from such companies do not merely arise from off-set implementation; an important part of them comprise work packages and development projects we won through our own attempts, non-affiliated with the projects conducted in Turkey. We manufactured wiring harnesses and kits for power panels of the F-16 for Lockheed Martin. We also procure wiring harnesses for the Boeing NATO AWACS aircrafts. Moreover, wiring harness assemblies of pioneer rotary wing platform manufacturers of the international defense market. Besides, we are providing services to worldwide giant defense companies regarding underwater and surface platforms. Our collaboration on the design and production of Kongsberg multi-function consoles, production of multi-function console and cabinet for Atlas Elektronik, Airbus Defense & Space, the current Hensoldt company’s underwater periscope system cabinet supply, underwater electronic battle system console production to Thales Aerospace Systems UK, Thales Underwater Systems, the production of the connection boxes of the underwater sonar system and Integrated Platform Control and Monitoring System (IPMS) are on-going. Defence Turkey: What would you like to mention about the regions in which you are active and details about your sales? There are no medium scale companies working directly with world giants like AYESAŞ. Complying with the international standards and passing the comprehensive audits is not an easy task but we accomplished all these processes successfully. One of the crucial markets that we attach importance to as AYESAŞ is the Azerbaijan market and Turkic Republics in general. Our close contacts with Azerbaijan have been going on for a few years. There is a certain amount of technological accumulation in Azerbaijan. I believe that they are ahead of many countries in terms of academic know-how. As we assessed that joint development projects and technology development activities could literally be conducted with Azerbaijan, we made an agreement during last ADEX’16 with the Azerbaijan National Sciences Academy (ANAS). These activities still continue. The HTAWS - Helicopter Terrain Awareness and Warning System that we designed in order to reduce the risk of controlled flight into terrain (CFIT) accidents of rotary wing aircrafts and our Digital Moving Map drew great interest from the Azerbaijan Air Forces and from the rest of the Azerbaijan delegation. During IDEF, both Azerbaijan’s Minister of Defense and Air Forces Command visited our booth and gathered detailed information on the products. On the other side, VESTEL Defence, the Armed Configuration of the Tactical Class “Karayel” Unmanned Aerial Vehicle System and our UAV platforms in different categories are drawing intense interest from foreign countries. I can say that we have significant opportunities regarding the products in our UAV product portfolio and their export to overseas markets. Defence Turkey: Returning to the projects, you possess a tactical class unmanned aerial vehicle such as “Karayel” that has proven itself. The weapon integration was accomplished to the “Karayel” UAV system and its test flights were completed successfully last June. How have developments proceeded within this one-year period regarding “Karayel”? What kind of studies were conducted considering the systems’ localization and indigenousness? Could you please inform us? “Karayel” is a source of pride for us and it bears crucial capabilities. We possess a platform that was designed in line with NATO standards - this is a crucial point- that features all the characteristics required for international aviation safety and finally that it was designed and produced in Turkey. We turned this platform into a product family subsequent to the final firing tests. Currently, there is a configuration of the “Karayel” platform utilized for reconnaissance and surveillance in the tactical class. In addition, we revealed an armed configuration of this platform. By extending the wingspan, we enhanced the endurance up to 20 hours with this configuration and debuted the “Karayel SU” configuration at IDEF’ 17. The family of Karayel UAVs consist of 4 different configurations. The first configuration is “Karayel” UAV system used for tactical reconnaissance and surveillance operations, we refer to the other configuration which was developed and armed in the sequel as “Karayel-S” and we have accomplished the test firing last year. We developed the configuration with the extended wingspan enabling it to carry more payload and we refer to it as “Karayel-U”. Finally, we manufactured “Karayel-SU” which is an armed and extended winged configuration which we have demonstrated it, at IDEF 2017. “Karayel SU” reached the capacity of performing with a total of 120 kg of munitions with 4 stations each carrying 30 kg of munition. It became a novel product capable of carrying almost 200 kg of payload together with its high-tech camera positioned on it or with different other payloads. The stations over the spans were developed in modular structure and it became capable of carrying various payloads besides the ammunition. “Karayel” has already been used in the command of our armed forces through the service procurement and has proven itself during those flight tests. “Karayel” became a unique product family composed of different configurations. Moreover, we continue our activities on the UAV systems in different types and classes. VESTEL Defence has an in-depth know-how and capability on Unmanned Aerial Vehicles. We are one of the very few companies with such capabilities in Turkey and throughout the world. Defence Turkey: VESTEL Defence possesses the proven “Karayel” platform. AYESAŞ is a significant subsystem company with an essential know-how in its area of expertise. Both of your companies complement each other with their existing capabilities. In light of your diverse capabilities, what type of an approach will you be adopting for the joint development and production with local partners in those regions, primarily Europe and other Western countries and for the export of these products to third party countries? We do have such an approach. Our competence is gaining recognition not only in Turkey but also in the world as the capabilities and achievements of the platforms have been proven through flight demonstrations, etc. We started receiving various offers to conduct joint cooperation regarding this point. We are open to all of these proposals and we are presently negotiating with each of them. As a person who has worked for many years in the area of R&D, I have gained essential experience considering technology transfer between companies or technology transfer to countries and I am well aware of the fact that trade proceeds in this way. Therefore, we currently assess all the requirements that we receive and all of our ideas through an integrated perspective. We will launch our activities soon to this end. Defence Turkey: Mr. Tekin, as a system company, AYESAŞ has been undertaking crucial responsibilities in foreign countries especially in the European and American markets in the areas of command control and avionics. From a general perspective, do you consider that a company possessing such depth of field such as AYESAŞ is assuming a sufficient amount of projects both in our country and abroad? Is this company fully reflecting its potential? What are your assessments in this context and what would you like to say about your future projects? In my opinion, AYESAŞ has already assumed all the projects it could assume. Then again, with its high potential surely there are other projects it may undertake. When we analyze the current status of the sector, AYESAŞ needs to be involved in more projects on account of its competence and depth of field. In my opinion, our competencies can be utilized in numerous projects, the Turkish Fighter Jet (TF-X) program first and foremost. Moreover, there are many ongoing naval projects. I assess that the New Generation Multi-Function Operator Consoles which we introduced at IDEF and which were designed for the underwater and surface platforms can take part in those projects. With the vision, I mentioned previously, we have a potential enabling us to be involved in the major projects, by using the depth of field, and quality processes we possess in delivering the sub systems in one piece in grand platform projects. We aim to launch all of these in the upcoming period. I would particularly like to underline a point. We have a very qualified company with numerous outputs and depth of field but our company failed to explain itself sufficiently. AYESAŞ remained as a humble company and I believe that we have to promote its competencies more. Without doubt we expect the support of the associations such as you that promote the sector. As part of the F-35 JSF program, AYESAŞ is the only company involved in design and manufacturing of electronics and software development assemblies apart from United States. With its proven quality AYESAŞ has been conducting the design and production of the circuit card assemblies of the panoramic cockpit display and LRU integration and circuit card assemblies manufacturing and designing of missile interface unit as part of the F-35 JSF program and has been undertaking crucial responsibilities. These competencies need to be promoted much more. 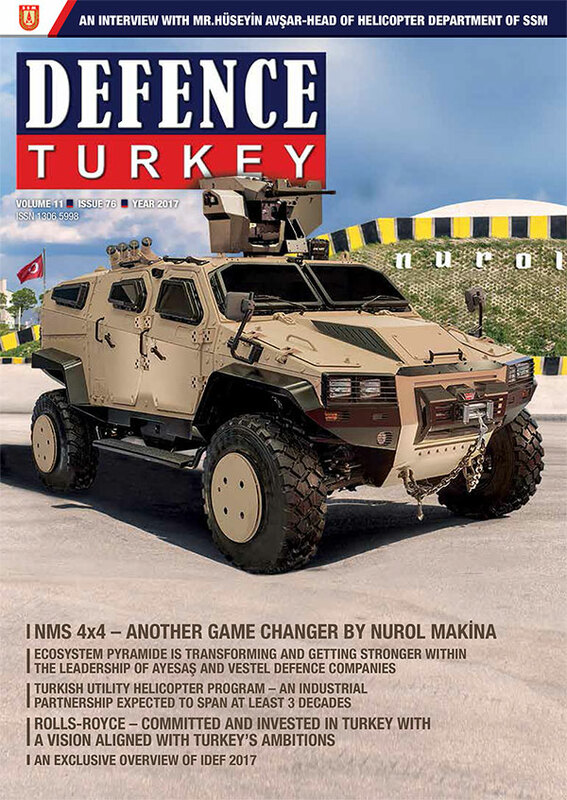 Defence Turkey: Dear Tekin, the OEMs such as Boeing and Airbus have different expectations from the subcontractors in recent years. There is a transition from the first-tier approach to super tier approach. Does AYESAŞ have a plan for this new concept that involves the subsidiary industries as well? We adopt this approach. We are the super tier of worldwide giants like Boeing and Sikorsky. Moreover, we are both the tier-1 and tier-2 of some of our clients. Actually, this is a result of our flexible structure. I rely on the fact that AYESAŞ will be a pioneer on this subject if it is requested, because we periodically make direct sales to OEM’s, besides we also sell to the suppliers and to the suppliers of the suppliers. Defence Turkey: Would you like to convey any message through this platform to your local and foreign shareholders regarding the costs of the products you offer to the sector as well as your flexibility? Recently, we initiated focused efforts to emphasize our cost-efficient and competitive structure within the sector. We are going towards the game changer position in the sector, as we always believe in competition and we do not have extensive budgets. The saying ‘Money does not grow on trees’ also applies to our sector. We have to be compatible with this dynamic as well. Thus, we conducted a very serious revision on both of our costs and the cost structures of our suppliers accordingly, and this brought us to a different position. Defence Turkey: During IDEF, AYESAŞ signed an MoU with Navantia Company on the transfer of know-how and capabilities regarding the IPMS (Integrated Platform Management System) which is amongst the critical components of the LHD (Landing Helicopter Dock) platform and this MoU enables the leadership of AYESAŞ in other local and foreign programs with the support of Navantia through accumulated know-how. What would you like to say about the details and what is acquired as part of this agreement? You touched upon a subject to which we attach great importance. In my opinion, localization and indigenization are amongst the crucial topics of Turkey. Therefore, the indigenous and domestically developed critical technologies should initially be marketed in the region and then to the world. We tried to act in line with this vision project. We initially signed an agreement with Navantia on the development of a national and unique IPMS system for the LHD platform to be manufactured for Turkey. The content of this agreement has been extended at IDEF and it has been transformed into a cooperation agreement regarding the utilization of our competencies for Navatia’s other surface platforms in the world. This agreement should set a model for the sector, I hope that all companies functioning in the robust indigenization groups of foreign companies adopt this vision and put their signature on new collaborations that open to the world by starting through the process of indigenization. Defence Turkey: The endeavors towards the integration of the Helicopter Terrain Awareness and Warning System for the helicopter platforms within the inventories of the TAF and other institutions gained momentum open the topic of the recent tragic helicopter incident where our 13 troops were casualties. We know that you have been working on the development of a unique solution in this area. What type of an indigenous solution do you offer to the procurement authorities? We feature a detection and warning system named as HTAWS - Helicopter Terrain Awareness and Warning System. Actually, this system was an R&D study that we launched years ago through our own resources. We designed it as an R&D project and it was on the table. Then, we realized it as a project and then displayed the final version of the product at IDEF’ 17 as well. Numerous local and foreign customers seized the opportunity to experience this product throughout the Fair. The product is deliverable at the moment. Here, we are speaking of a system that is designed in a way to be certified with the DO-178 B that is compatible with the international aviation standards. I would especially like to emphasize at this point that although this is perceived as a simple thing, the incompatibility of a system as per the standards utilized in aviation is unacceptable. The alignment with these types of international standards should be continuously emphasized especially in aviation software. We developed this product fully in compliance with the aforementioned standards. Customization may be required depending on different types of helicopters or there may be special requirements from the client, but in the end, since all design activities and all codes of software are completed by our companies, we will be able to fulfill all types of requirements. Defence Turkey: Mr. Tekin, what are your medium and long-term expectations and targets identified for VESTEL Defence and AYESAŞ companies? Where will you position your companies within the global scale? As I mentioned previously, within the eco-system pyramid, we would like to position ourselves among the system providers and the sub-system providers beneath it. We aim to develop ourselves in the areas that we have depth of expertise and become a pioneer to the sector in points in which we have technological depth. We endeavor to constantly acquire advanced technology and added value through the Unmanned Air Vehicles, Land and Naval Vehicles through our avionic solutions and become a pioneer and model to our shareholders in the sector. Defence Turkey: Would you like to convey any message for Defence Turkey readers? The human resources potential in Turkey, as well as the wisdom and intelligence can make us an international player. I have been involved in R&D management for 8 different countries of the world from Turkey for many years and I can say that an engineer in Turkey is not much different from an American or European engineer. For this reason, I would recommend to the Turkish engineers, especially to the youth and my colleagues who will join the sector recently that they should believe in themselves. With our engineering power and intelligence, we can achieve everything. If we can take action, keeping this in mind. We can release unique local products and render them marketable to the world.